I finally got one! 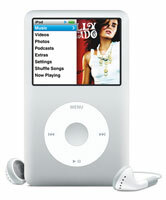 I’ve loved my blue iPod mini for years, but I never thought I would need more than 4GB of space. Who knew?! Anyway, thanks to my generous family, I got a bunch of Apple gift cards for my b’day and yesterday I went and cashed them all in on a top-of-the-line 5G iPod classic with 160GB (thank you very much!) of space! It uber cool and I’m enjoying it immensely already. Finally, I can have all my music and podcasts and internet radio shows on one device. How cool is that? Anyone got a good new name for my iPod? I haven’t quite decided yet and need some help. Happy 888 day! Oh, this one is another whore for color and smell, isn’t she? But stunning, oh so stunning in the garden. 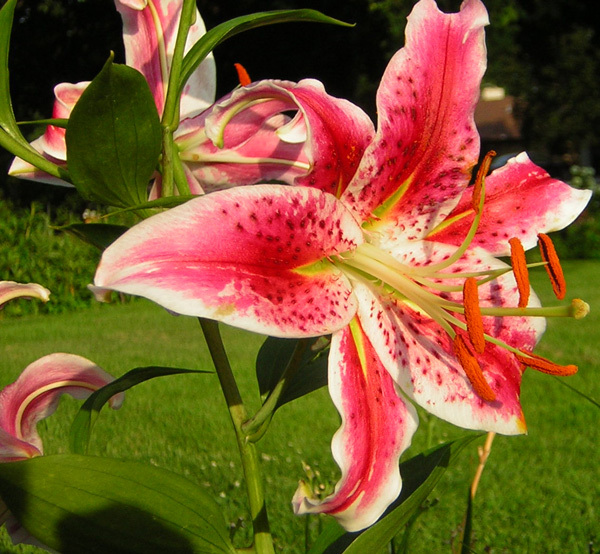 We’ve never grown Stargazer lillies before, though we have often enjoyed them purchased. The heady perfume and riot of color, it’s something of a mardi gras in bloom, isn’t it?